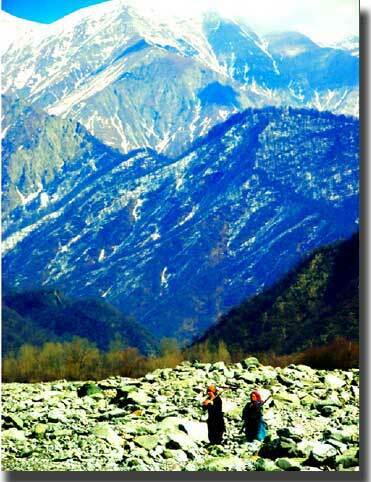 In the foothills of the Caucasus, women walk along the dry riverbed of rocks and boulders below the village of Kish, north of Shaki, in northwestern Azerbaijan. John Gjertsen from the Danvik School of Communications and Media in Dremman, Norway, has been leading youth groups on Photo and Film Study Tours to Azerbaijan since 2005. See photo essay, page 30.